We have already mentioned in the past few days the importance of brand identity in corporate image communication, explaining how brand identity defines the set of all those elements that outline the perception and reputation a customer has of a brand. Brand identity must represent the mission, vision and values ​​of a company, starting with the voice tone to used, up to the design chosen for communication. If the company produces products, the creation of brochures, catalogs and dèpliants is one of the possible ways of communicating corporate identity. 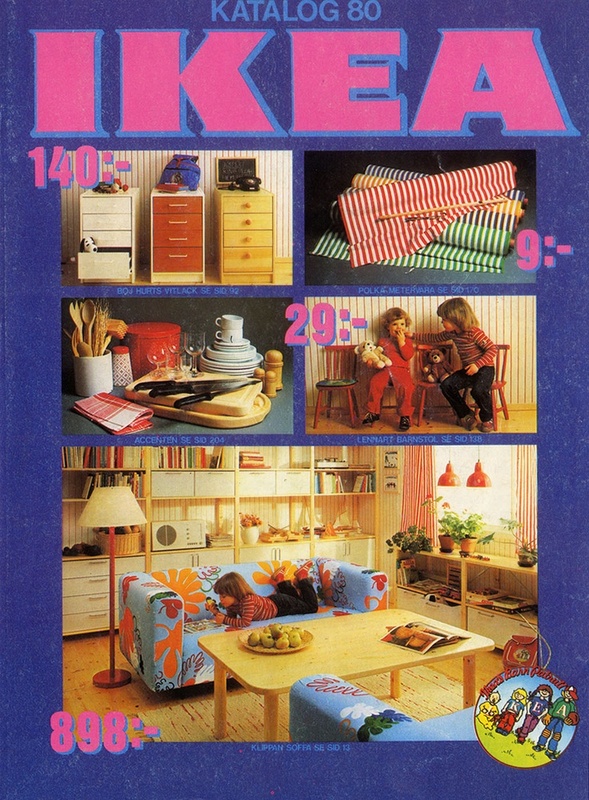 That is why we chose to analyze the history of the Ikea catalog: the Swedish brand has been telling differently over the years, but always communicating corporate values. 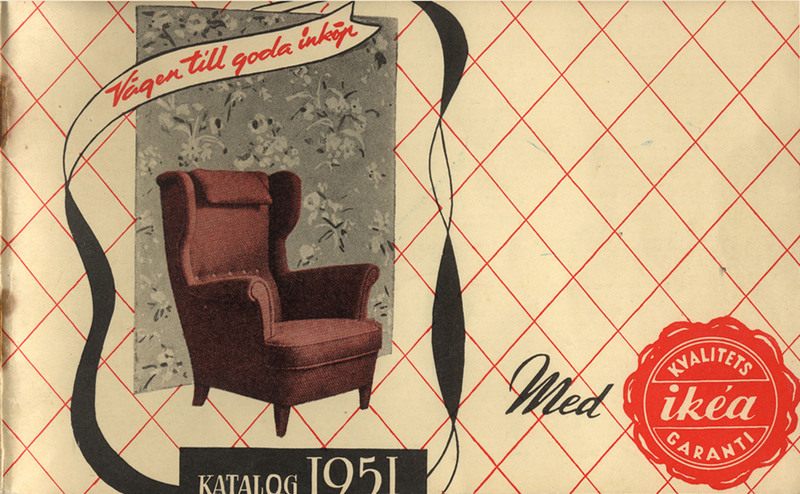 Inside his site, Ikea shows us its story dividing it into six time bands: 1920, 1940-1950, 1960-1970, 1980, 1990, 2000. We have decided to follow this distinction, to tell you about the history of its catalogs, from the beginning until today. It was 1920 when at just five years Ingvar Kamprad began to dedicate himself to the sale of matches, first in the neighborhood and then slowly throughout the surrounding area. At times Kamprad understands that by purchasing large quantities of matches, he could sell them at a low price while at the same time having a profit. Given the success of his idea, the young man decides to deal with the sale of greeting cards, Christmas decorations and stationery products such as pencils. In 1943, at only 17 years, Kamprad founded his first activity, named IKEA, born from the acronym of his initials and Elmtaryd and Agunnaryd, the farm where he grew up. Initially he sold several useful products for everyday life, such as pens, wallets, watches, and so on. Over time, however, Kamprad transforms its business into a furniture company and thanks to this idea; he decides to communicate the essentials of its furniture design through its first catalog. Some years later he gets the idea of products that could be mounted by customers in a few simple steps. 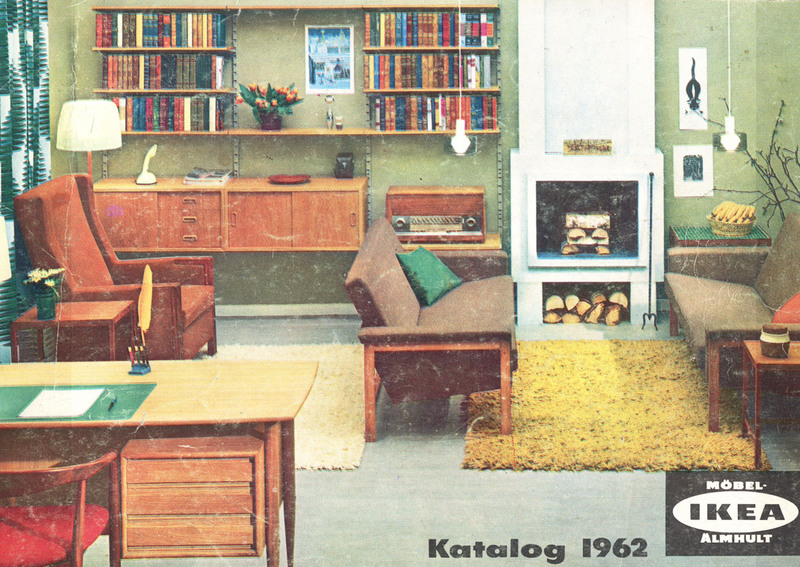 In 1962, IKEA produced for the first time the MTP wooden bookcase, for the occasion, they decided to put the library in the forefront of its catalog, no longer as a simple element, but in an entire environment within which the library was well visible. Among the great innovations in its catalog, the use of denim in furniture production has to be remembered: a solution designed to work on low-cost materials, but having a durable and low-cost end products. IKEA launches Klippan a very durable and at the same time soft and comfortable sofa. Thanks to its removable lining, the idea was to communicate an ideal solution for families with children. No sooner said than done! Here is a cover dedicated to the home life lived by the youngest. 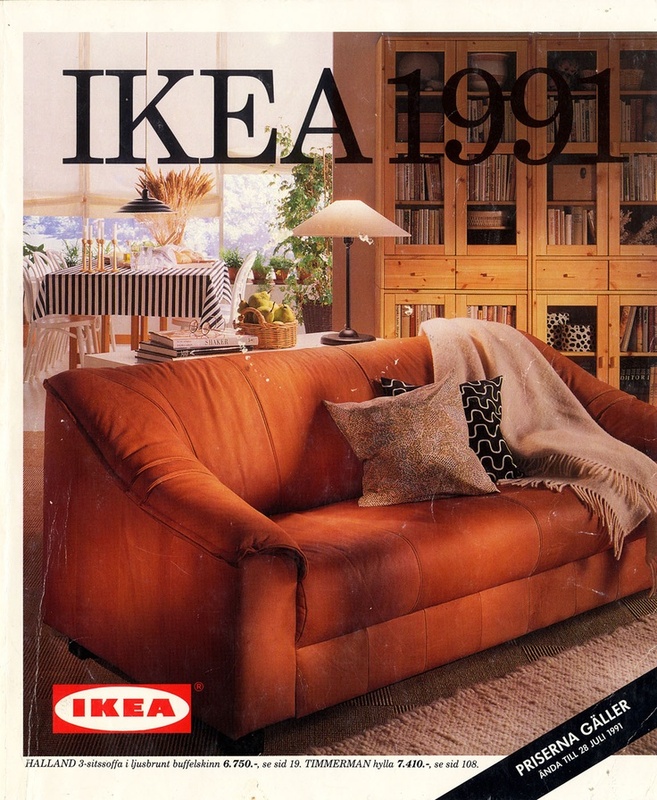 It was in the 1980’s, exactly in 1989 that IKEA came to Italy with the first store in Cinisello Balsamo. 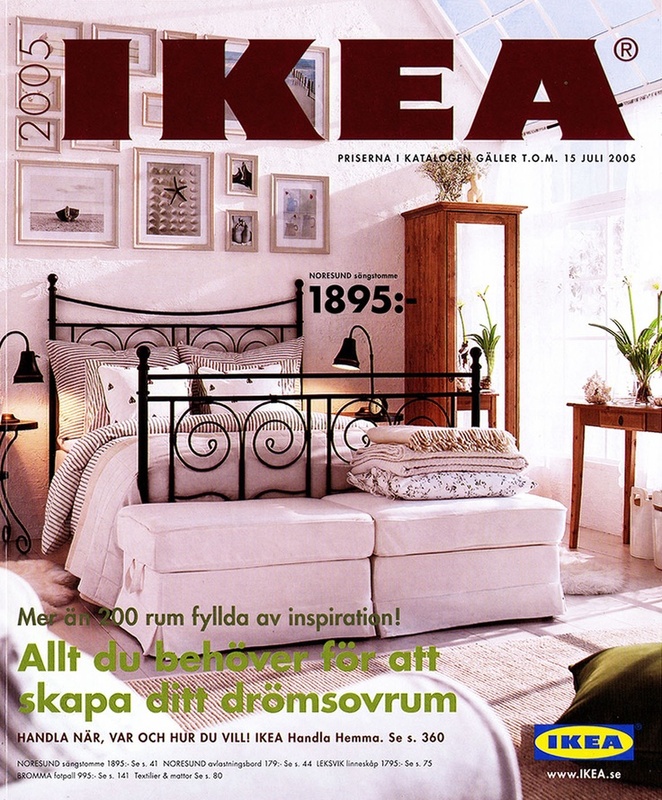 It is 1991 when IKEA decides to buy sawmills and production plants, giving rise to the Swedwood Industrial Group. The main objective was to produce wood furniture, components and derivatives. The wooden bookcase in the living room becomes a must in the 90’s. We are finally in our century and for the first time in 2005, IKEA decides to launch a complete collection of furniture and bedroom furniture accessories: mattresses, solutions to keep order in the bedroom, up to sheets. With the hectic life of the new century, IKEA’s goal is to simplify the life of its customers. Among the environments most studied from this point of view, there is certainly the kitchen, one of the rooms of the house where you love to spend your time. The result is a different offer of kitchens and furniture for the coordinated dining area. The 2017 catalog looks more modern, in keeping with the times and needs of sharing and being together, but the corporate identity remains the same in a single mission: Designed for people, not consumers, because they are first and foremost people.